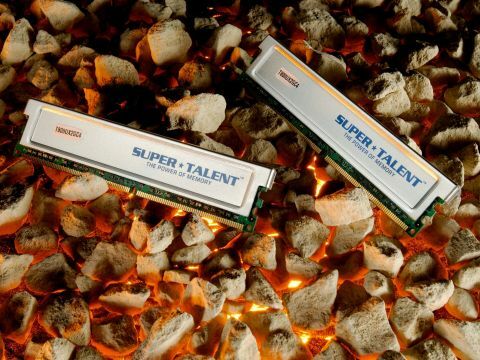 The silly-sounding Super Talent is another that uses heat-spreaders on its chips, but unlike Crucial's clip-on affairs, these use a layer of thermal paste to achieve better contact. Of more interest is the fact that the Super Talent RAM sits alongside the Corsair memory in the top tier of performance. There's far less documentation than with other manufacturers, though, so you are somewhat in the dark in regards to how far you can push it.